NEW YORK—Boasting that fans will now be able to see "every crossing of neutral ice and many of the faceoffs from every game," the National Hockey League introduced its new "Blue Zone" subscription-only programming channel Saturday. "See the beginning faceoff of each game and all the change-of-possession action between the intensity-packed blue lines," a press release from the league read in part. 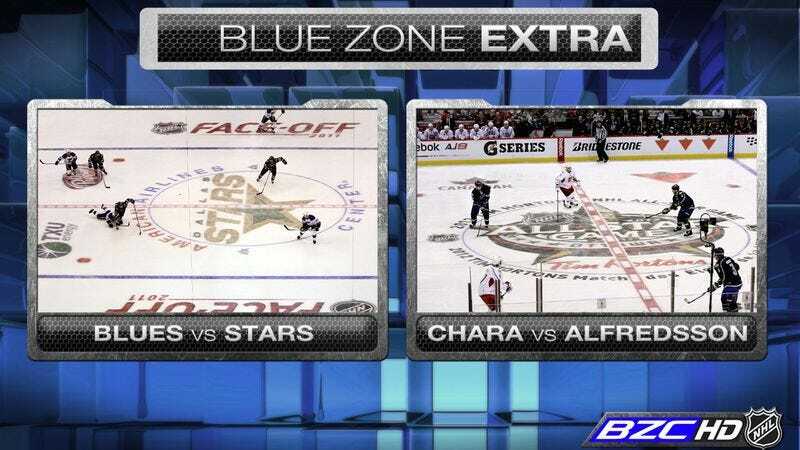 "Everything from every matchup except the scoring, the saves, the struggle for the puck in the corners, and the majority of the checking—only on the Blue Zone." A spokesperson for the league said the NHL had not considered a broadcast format that included all the on-ice action, as whenever that "gimmick" had been tried in the past, "no one was interested."